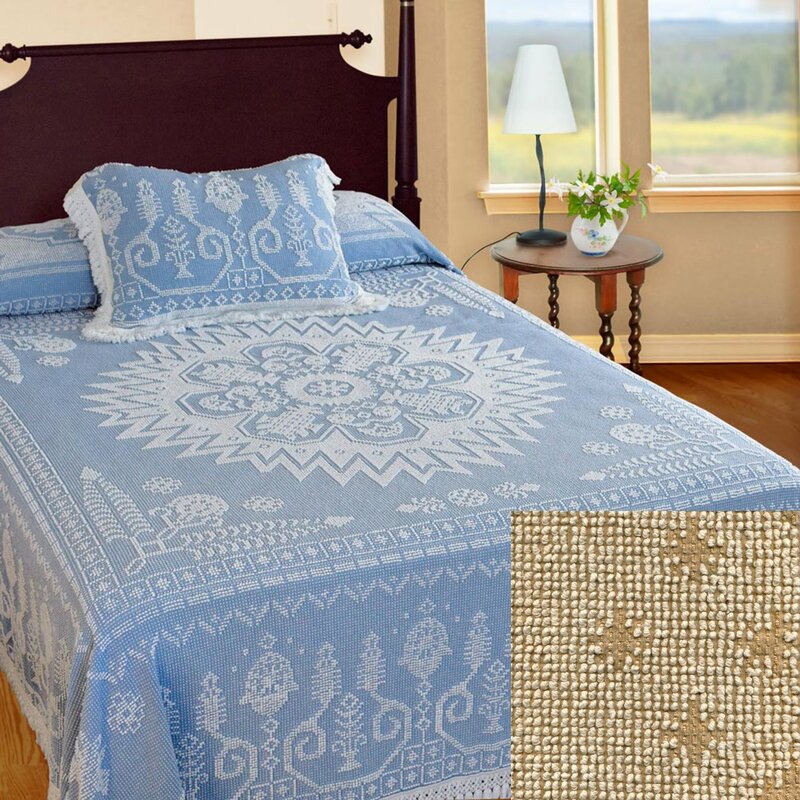 Terry loop woven bedspread featuring flowers and leaves with center sunburst. A diamond in square band edges the top of the mattress. 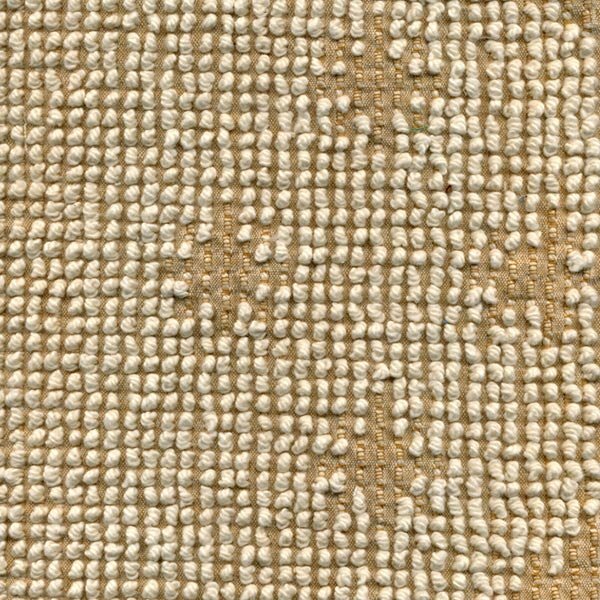 Sides have flowers, leaves, and scrolls with decorative fringe at hem. 96 x 110 inches. Manufactured on original Bates Mill equipment by former Bates weavers. Made in the USA. Manufacturer UPC is 184195003562.